This would fulfil the demands for political justice, expand the base of rule, portend less bleak horizons for political evolution in the country, and in the long run, limit the possibilities of violent political eruption. The minoritarian character of rule in Syria was institutionalized, at the turn of the century, by bequeathing authority only within the Assadist dynasty. Effectively, this represented a sultanic transformation that drove the final nail in the coffin of a Syrian republic, and entailed a constitutional amendment so that the Syrian deep state could sustain the Assad dynasty . The minoritarian aspects of the rule have been reinforced by economic liberalization oriented to neoliberalism, and hence by the unprecedented interlinking of exclusionary power retention and privileged access to national resources by a new bourgeoisie class, principally composed of relatives, cronies and associates. Furthermore, during the years of both the Father and the Son, the Assadist state has relied upon sectarianism as an essential tool for ruling. It has been used to divide its subjects making them fearful of each other, and it has offered discriminatory identification with the state to a section of the population, the Alawites that primarily constitutes the state security shield. Breaking this cyclic history requires breaking with minoritarian rule and the formation of a new political majority. The new majority in Syria does not refer to the Arab Sunni majority. It rather refers to a social majority that is cross-communitarian. Not only do Sunnis in Syria lack unity or political convergence, but the regional and class cleavages dividing them are equal to, if not exceeding, divisions between them and other groups. More importantly, the Sunni character would not avert minoritarian rule anymore than the Arab character has. While Arabs constitute a very large majority of Syrians, Arab nationalism has undeniably failed in preventing minoritarian rule or producing political majoritarianism. Of course, it is most likely that a majority of this new Syrian majority would be Sunnis. However, the mere fact of them belonging to the Sunni sect does not inherently undermine the prospect of establishing a stable political majority, unless Syrian Sunnis were unified or behaved as a distinctive and homogeneous group. Such, in my opinion, is untenable, as evident by the course of five and a half years of the Syrian Revolution. If it ever were to actualize, homogeneity among Sunnis would require extensive coercion that targets Sunni environments before others, thus leading to a compounded minoritarian rule: a minority among Sunnis and a minority among Syrians. Despite the fact that one could define Islamists by their will to sectarianize and unify the Sunnis, it is certain that if rule were to be consolidated in their hands, they would not be comfortable with two thirds of the population staying united and publicly active. They would focus on dividing them and bringing them back to passivity, namely imposing a “Sunni minoritarian rule” and renewing despotism on Islamist grounds. However, if Sunnis were to remain politically active, then some Islamists would seek partners and allies amongst other communities. The result of this is likely to be a political majority of the type that emerged in the early 1930s against the French, or against al-Shishakli in the wake of the 1954 Homs conference. Such a Syrian political majority would be a social, cross-communitarian majority that only excludes those actively loyal to the Assadist state (justice preordains that some be tried, others politically quarantined, on the basis of their deeds, not their origins.) The majority of the new Syria would endeavor to bring together the broadest sectors of the population from all different communities that have not been complicit in the Assadist oligarchy. Such rhetoric is not particularly novel. It is the substance of democratic aspirations that have repeatedly been expressed, since before the first wave of resistance to Assadist rule, in the latter half of the 1970s, a period of intensifying Assadist oppression and the emergence of a new bourgeoisie class. However, grappling with the question of democracy needs particular specificity in Syria, due to the surge in the influence of communitarian formations in current public life, and so as to address the concerns of minorities and their rights. It is known that, in the genealogy of the “protection of minorities” paradigm is the rise of imperialism in Europe and the emergence of “the Eastern question” (which in fact is a “Western question,” according to Arnold Toynbee.) From this genealogy arises the notion that minorities are endangered, specifically and exclusively, by the Muslim majority. We venture into a romantic drama, in which just, rational Europeans are responsible for protecting poor, weak minorities from evil, aggressive Muslims. The context of such protection has never been one of justice and liberty, nor even “rationalization” (On the one hand, “rational” organizations were imposed from above, and on the other, they were immediately accompanied by exceptions, protections and privileges reserved for the intimates of European powers.) The context was precisely one of expansion and armed robbery, and collusion by the “imperial predators” over the Ottoman realm. This is enough ground for exercising extreme caution in using the “protection of minorities” clause, which has been seen to resurface in similar international contexts. While the Sunni-majority hubs of the Syrian Revolution have overtly sought international protection, it has since the summer of 2011 suffered exposure , absence of protection, and obstacles to their empowerment, so that they can protect themselves. What is novel in contemporary calls for “protection of minorities” is the expansion of the sponsored minorities to include Kurds. This maneuver itself arises from the threatening majority being seen exclusively as Sunni Arab Muslims, and conversely, with Western powers and Russia acting as “protectors,” giving the impression that justice alone motivates them. Such systems of protection had preceded traditional colonialism in many of our countries, and gravely contributed to the creation of the sectarian issue. The system then became an aspect of colonial administration and overtly sectarian policies in Syria and Lebanon, and in Palestine. There were always local agents for the protectors (previously the French, British and Russians, and today the Americans and the Russians, among others) who propagated the menace and savagery of the religious and ethnic majority. Why not a quota system? Is it not feasible to build a Syrian political majority through a sectarian quota system, which provides “protection” for the minorities and guarantees their rights? (I will discuss the Kurdish dimension of the Syrian resolution in a separate paragraph.) The strange thing is that no one among the advocates of minorities and those worried about their rights has ever called for this. It is not difficult to discern the reason, as quotas must take into account population ratios. It could hence place two-thirds of political power in the hands of representatives of the Sunni Arab majority, even if it guarantees participation to the representatives of minorities. This is not what the affectionate mothers of the minorities, such as Russia, America and Iran, desire. A system based on “bisection” between the majority and the entirety of minority populations, with their interests “guaranteed,” can also be imagined. This is what Kamal Dib, the Canadian-Lebanese who is loyal to Bashar al-Assad, calls for in A Crisis in Syria, only after properly overstressing the necessity of secularism. Such “bisection” between a quarter and three-quarters of the population, which are the proportions Dib himself offers, is but a step towards discrimination, not secularism. It is certainly not democratic. The current Lebanese model, which is based on fifty-fifty power-sharing between a third and two-thirds of the population, is hardly one to emulate. It is not only Syrian demographics that have hindered the calls for a sectarian quota system by those fervently protective of minorities. The impossibility of unity amongst Syrian Sunnis is the other reason. I discussed this issue of Sunnis being perpetually fractured in an article a few years ago. While such provokes dismay amongst hardline Sunni sectarians, this reality might actually be a source for activity and flexibility in any post-Assad regime, one that is based on a new political majority. Arguably, Syrian Sunnis embody so many diverse “sects,” due to manifest regional differentiations, or ideological and lifestyle choices that are no less concrete, that it cancels out the statistical reality of them being the majority group of the population. Accordingly, a majoritarian regime would more likely be based upon coalitions among representatives of Sunni-origin groups and non-Sunni and non-Muslim communities, in addition to independent individuals and “non-communities” (that is, communities which do not define themselves along communitarian origins.) This would also break the dynamic of sectarianization, limiting both the internal homogeneity of communitarian groups and their external isolation and detachment from one another, thus allowing for non-sectarian prospects. 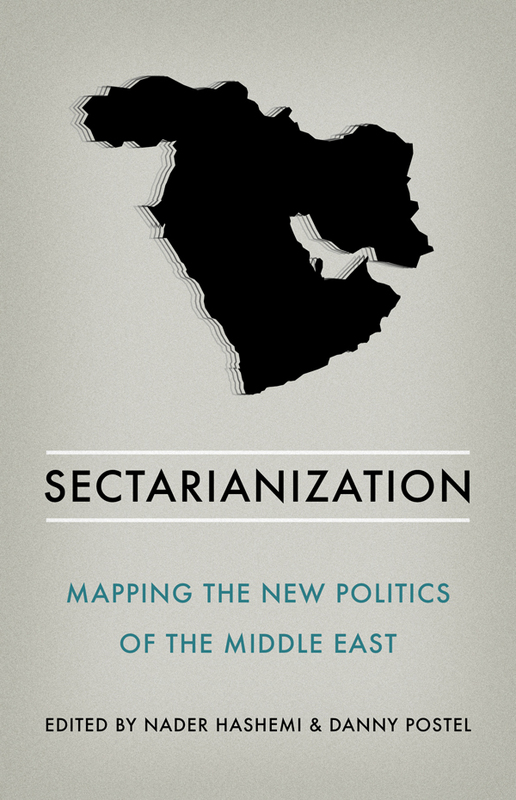 These three processes, internal homogeneity, external mutual-isolation and eradication of non-sectarian prospects in society and in public space, are dynamic aspects of the sectarianization we have experienced in Syria during the Assadist era. A disruption of this dynamic will not lead to the demise of Sunnis, Alawites, Christians, Druze, Ismailis and Shias, but rather counter their sectarian, homogeneous and isolated formulations. In such a majoritarian regime, the cause for concern will not be a Sunni hegemony that excludes minorities or subjugates them as inferior and dhimmis [protected by Islamic law]; rather, it will be the possibility of regional-sectarian-classist coalitions consolidating in a manner that marginalizes political non-sectarian formations that could emerge or regenerate. Regrettably, there are no guarantees for such not to occur. But the subject of this gamble of de-sectarianizing the public sphere is the independent, non-sectarian spaces a majoritarian regime can make available, where leftists, liberals, feminist, youth and cultural organizations can be active. We have in pre-Baathist Syrian history a glimpse of such. Back then, the axis of divisions in the public sphere was regional rather than sectarian (Damascene-Aleppian particularly), and it did not prevent the emergence of non-sectarian trends and organizations such as the Communist Party and the Baath Party itself. The fact is, the Syrian Revolution has only made visible regional divisions, which had been concealed by the public political quarantine, and the overwhelming presence of sectarian division in public consciousness. The Revolution has also made visible class-regional divisions along the axis of country-city, such as the relation of Damascus to its countryside and peripheral neighborhoods, which are crucial to understanding the dynamics of the conflict around the capital (the same can be said of Aleppo’s division.) Not to mention the ethnic divisions, especially on the Arab-Kurdish axis. The Sunni-Alawite sectarian contrast itself is to a great extent a social-political-regional one, the overcoming and remedying of which requires rethinking the structures of distribution of power and public resources in Syria. These axes of division far exceed sectarian divisions, as well as the “protection of minorities” dogma, which cannot remedy the sectarian division (it in fact fans its flames), or various other Syrian social divisions. The multiplicity of axes of polarization will certainly complicate political life in the post-Assadist Syria. However, it can also disrupt sectarian polarization, and limit the hidden and continuous inflammation of public life in the country with sectarian inclinations, fears and divisions. A radical rethinking of Syrian politics, beyond the Baathist and Assadist era, and certainly beyond the previous post-independence era, would include greater decentralization and involvement of local populations in governing their areas, and in public political life. It would also include a more overt public engagement. The discretionary character inherent to the genesis of the Assadist state poisoned public life with doubts, fears and myths, and prevented Syrians from contemplating their situations and publishing information, analyses and practical solutions about these. What remains to be said is that the protracted Assadist era, and the long years of the second Assadist war, has had a deep, transformative effect on Syrian society that justifies reservations against analogizing with precedents, or yearning for a time past. It does not seem, however, that this transformative effect has made Sunni unity any more feasible, as evidenced by the years of the Revolution, and thus fearing for the minorities from a Sunni consensus against them is absurd. What about the salafist-jihadist threat? It might be said: But Salafists and Salafist-jihadists are talking about the Nusayris [classic but now derogatory term for “Alawites”], the Nusayri army and Nusayri regime, and their ideological belief system, to say the least, disparages minorities. This is all very true, and a source of great concern, amongst “Nusayri” and “non-Nusayri,” alike, including those who are Sunnis. But the fact is that the greatest anguish triggered by those groups, until now, has been inflicted upon Sunnis in the areas of Jazira, the Syrian north and in Eastern Ghouta of Damascus. What we are concerned about is the protection of Syrian lives, irrespective of their origins, and their assaulters, be they Assadists or salafists. If this were to be our starting point, security would mean the protection and security of all Syrians. What sectarian salafist groups inflicted upon people of minority origins (as they did upon Alawites in areas north of Lattakia, upon Druze people and Christians in Idlib, and upon Alawites in Adr) opens up the issue of equality in rights, including the right to security . Public safety is founded on a national pact stipulating that Syria is for all Syrians, none of them being a guest of anyone else, and none dhimmi to anyone. Unfortunately, a discussion regarding these matters is absent in Syria. 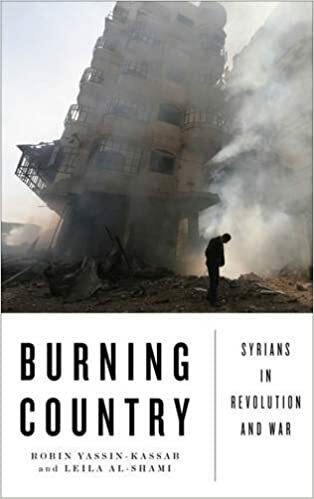 This supplements the Assadist confiscation of the public sphere, and the extreme self-censorship exercised by most Syrian intellectuals regarding this matter, with some of them even volunteering as guardians of sectarian taboos, pouncing on anyone who dares to challenge these. Today, we pay a heavy price for that silence as we ask ourselves, again and again: What is the solution? In today’s conditions, how can a new Syrian majority be formed? Before anything, by turning the page on Assadist rule. There is no solution in Syria without that, because not only are we talking about a fundamentally minoritarian rule, but one that has included expansive and ceaseless reliance on subjugating the governed with armed force. However, it has become clear since 2013, and especially since the rise of Daesh, that it is untenable to build a new Syrian majority against the Assadist state alone. Daesh evokes the repulsion of all minorities, and also of the majority of Syrian Sunnis. It is furthermore not just a radical sectarian force, but an external occupation force too. It is a unique formation in which a terrorist organization that exercises arbitrary acts of violence, indifferent to civilian lives, exhibits both a settler colonialism and acts as a human-grinder of fascist authority. It is not only a political and social danger to Syria, but rather a danger to the Syrian entity itself. The new Syrian majority cannot be brought about without confronting Daesh. But not Daesh alone, as the American policy has been since its intervention in Syria and Iraq in September 2014. Rather, both Daesh and the Assad regime. The latter is not only a political and social danger, but since before the Revolution has been a non-national sultanic authority, in possession of the country and its population. And during the Revolution it became a structural danger to the Syrian entity, relying on foreign occupiers who have no compassion for the majority of Syrians or the history of Syria. Nearly no one amongst the Syrian revolutionaries is prepared to engage in conflict with Daesh until they’ve gotten rid of the Assadist state, or unless in a context definitively leading to its demise. This is a central point, and should not be obscure to anyone. 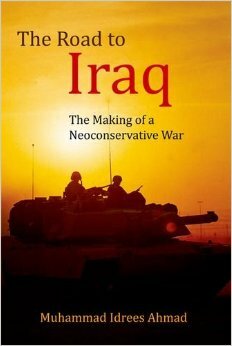 It explains the repeated failures of the Americans in building a sturdy Arab Syrian force that fights Daesh alone . People like us, leftists and seculars and liberals, would not join hands with anyone that exclusively fights Daesh, relying on the Americans and/or the Russians, to have at the end of the day a restored Assadism, with more severe sectarian nefariousness and wider criminal thuggery. This will not only betray the Revolution, and the souls of countless victims, but would require engaging with plans put forth by powers in which justice for Syrians does not occupy even a secondary priority. The estimation that a renewed Assadism would be more brutal than pre-Revolution Assadism is not a subjective one, but rather an “objective natural law” in case the Assadists do emerge victorious. The victors will be liberated from any hindrance preventing them from further thuggery and savagery, and they’d be eager to take revenge from any who had dared challenge them, broken their decades-long monopoly on power, or caused substantial human losses in the Assadist camp. We have from our recent Syrian history an illustrative precedent. After 1982, after killing tens of thousands in Hama and razing a third of the city, and while tens of thousands including leftists, unionists and countless “individual cases,” were still in prison, a “revolution” took place in detention, torture, secret-policing, looting and thievery, as well as in lying and in worshiping Hafez al-Assad. The situation will be a hundred times worse if Bashar’s Assadists were to be victorious. They already are under the protection of brutal foreign invaders: the Lebanese, Iraqi and Iranians Shia, not to mention the Russians. To sum up, it has become impossible, since the emergence of Daesh, to build a new Syrian majority against the Assadist state alone, but it cannot be built against Daesh alone either. What can be built against Daesh alone is a renewed minoritarian rule under foreign protection, and with an international guarantee. Apart from Daesh, what about the others? Questions about Islamist belligerent groups are bound to arise when discussing the future of Syria. Some of these are jihadist groups such as Nusra Front, currently “Fateh al-Sham” (which comprises at least 10% non-Syrian fighters), or others which are to variant degrees compliant with the Salafist-jihadist paradigm (such as Ahrar al-Sham and Jaish al-Islam). In the current Syrian context, these groups combine confronting the Assadist state with extending their control over local communities. Their authoritarianism has triggered various resistances, and the groups have committed various crimes during these types of confrontations. During the battle of the Aleppo siege in late July 2016, the majority of Revolution supporters sided with these groups’ resistance to the Assadists and their allies, including Al-Zenki Movement which had recently provoked much repulsion for celebrating the slaughter of a young prisoner of war earlier the same month. This happened because the fate of 300,000 people in Aleppo was at stake – indeed, the fate of the entire Revolution. These groups carry out a public resistance function, but the chief groups among them have an extremely narrow ideological and sectarian formation. Here is the foundational contradiction in their nature: A public resistance against an aggressive sectarian alliance, but they are themselves structured along narrow sectarian lines. This contradiction cannot be resolved outside the framework of a profound shift in the Syrian political environment extending to the Assadist state. It is understandable that the supporter base of these groups expands when they carry out defense functions, or when they exclusively fight the aggressive Assadist state. That base diminishes when these groups attempt to impose their social model on local residents, or when they confront non-Assadist adversaries. They appear as elitist groups that are invested in their own ideology and authoritarian project, and not in a vivid social environment, as demonstrated by local resistance against Al-Nusra Front in Maarrat al-Nu’man and other places, and against Jaish al-Islam in Eastern Ghouta and Douma. Jaish al-Islam has expanded its authority through assassinations, kidnapping and warfare, not unlike what Al-Nusra has done in Idlib. But there is no path towards building a strong social opposition against these militias as long as they are confronting a hostile Assadist-Iranian-Russian alliance. Ridding Syria of the Assadists and the Daeshites would reveal the elitist, minoritarian formation of these groups, and would help isolate them. The anti-Nusra protests by Maarat al-Nu’man residents, who tend to be conservative Sunni Muslims, and in the wake of a ceasefire agreement last February, suggests that, should the condition be fulfilled of having done away with Assadists and Daeshites, wider sections of Syrians would be in a better situation to resist these groups. I foresee that other groups, more similar to the original formation of the Free Army, would opt towards involvement in the new political life of post-Assad Syria, or if they cause a bothersome security quandary, then conditions would be more conducive for confronting them. We have thus far discussed the desired Syrian majority through looking at sects. But there exists in Syria a Kurdish question, and there is no just solution without addressing it. So, how can this issue be tackled? The principle remains the same: Kurds are a part of the new Syrian majority, with their cultural and linguistic rights as an ethnic group constituently equal to others, in addition to a special status for Kurdish-majority areas in Afrin, Kobani and parts of the Hasakah governorate. This preliminary vision contradicts three modes. The first, naturally, is the pre-Revolutionary state that has denied the Kurds any public existence (All are “Syrian Arabs”) but has dealt with them pragmatically, ensuring division amongst them and weakening their political expressions. The second mode is the present situation since the Revolution, which includes collaboration between the PYD and the regime, Iran, Russia and America, while imposing a one-party system in the territories that are under its control, as well as a tendency to expand to Arab-majority areas. There is no just way of tackling an independent Kurdish entity, one that includes parts of Syria, unless within the framework of the establishment of a Kurdish state formed of Iraqi Kurdistan, parts of Turkey and parts of Iran. Maybe then will there be Kurdish territorial and demographic continuation of Kurdish areas with Syrian Kurdish-majority areas. It is also possible that this Kurdish entity might include Arab and non-Arab minorities. However, within the current Syrian domain, this continuation does not exist. This is a concrete geographic and demographic reality, which is often ignored by those who fantasize about “Western Kurdistan” or “Rojava,” and it cannot by bypassed by any just political and legal processing of the Kurdish issue. Here, we also have a contradiction between the public resistance function against Daesh, or any assaulters on Kurdish communities, and frequent and known acts of aggression against Arabs and others. This agenda derives its strength from mighty supporters. Here, too, we will be in a better position to resolve the contradiction if we do away with the Daeshites and the Assadists. We, in Syria and in the region, have a just, emancipatory Kurdish cause, but its emancipatory meaning has been appropriated by the most obsessive, exclusionary and short-sighted Kurdish organization, which is also the fittest and best-equipped militarily, as a result of its formative relation to the Kurdistan Workers Party (PKK) in Turkey. In this manner, it is similar to the Salafists in the Syrian Arab context being the most militarily fit and well-equipped group. Similarly, both the Kurdish nationalists and the Salafists include non-Syrian members; it seems that the Kurdish command and control center is entirely non-Syrian. The PYD has put itself within the unjust and short-sighted American and Russian strategies, and in doing so, it has antagonized Arab and non-Arab communities in Syria. The organization had also established suspicious relations with the Assadist state, and with Iran, early on, which made it intolerant towards the Revolution or to Kurdish revolutionary groups. This has been a consistent position, which reached a symbolic and shameful peak when Saleh Muslim –the Syrian face of the PYD – promoted the denial of the regime’s responsibility for the chemical massacre three years ago. During the past three years, a nationalist Kurdish supremacy narrative has developed, which creates convergence with the Western middle class, while white-washing the political and social similarities of Kurds with their neighboring communities in Syria. Those similarities have been replaced with aggressive speech, shocking in their tone and violence. This narrative relies on the expertise of the Turkey-based PKK, in addressing Western public opinion and in turn, adhering to its expectations. In Syria, this narrative has played a role of overselling an identity-based collective which lacks any emancipatory dimension or social depth. It also has no intellectual foundation or rationale at all, and does not integrate the Kurdish cause in any public Syrian cause. Partisan propaganda in its worst form has replaced discussion, and superiority narratives that lack social underpinning replaced acts of justice and emancipation. Western social and media have however found a practical translation in the American military support for the nationalist Kurdish organization, in northern and eastern Syria in exchange for fighting Daesh, not to mention the Russian support in exchange for fighting opposition groups. It is apparent that justice is not among the motivations of the two supporting powers. If it were so, they would have helped the anti-Assadist rebels, would have punished Assad for the chemical massacre, if not for his meticulously documented criminal record. The motive is international powers finding a reliable base in the region, where the majority of residents only reciprocate distrust. But is that not a conventional colonial method? So if we tried to look beyond the haze of propaganda and misleading information, it is justifiable to fear that this project might herald bloody conflicts, in a region that had not previously witnessed violent conflicts among its populations. Why is this proposition superior to others? Foremost, because it is democratic: It constitutes a continuation of earlier phases of the struggle of Syrians against tyranny. It also responds to what is supposed to be a universal consensus regarding democracy. Secondly, because it is just, and it takes into account all Syrian communities. It is not an expression of communal hegemony, which can only lead to renewed wars and for regional and international subordination, as the Iraqi example illustrates. Thirdly, because it is sustainable. The current situation is explosive. The Assadist survival signifies the country’s submission to foreign occupation. The Russians and the Iranians, who have protected the Assadists, won’t go back to their business once theirs and Assadists’ objectives have been realized. The Assadists will be the face of the sponsors’ influence, who in turn might be in accord or in conflict. However, working towards establishing a new Syrian majority would lay a solid foundation for a sustainable resolution, which can later consolidate itself through free elections and through a constitution that criminalizes sectarian and ethnic discrimination. The advantages of such a comprehensive vision become clearer when compared with three exclusionary visions present in Syria today. The first, naturally, is Assad’s Syria, meaning Syria as a base of minoritarian, dynastic rule. Conversely, a Syria that is established around a political majority, which crosses the borders of communal groups, can turn the page on Assadists without antagonizing the Alawites. In fact, it is the fittest for ensuring their security, rights and dignity in the long run. The second exclusionary vision is the nationalist conception of Syria as an Arab entity, and of its citizens as “Syrian Arabs.” In conceiving of Syria as a democratic republic, a state for its corporeal population, no injustice is dealt to Arabs, and nothing prevents them from engaging in the causes of their neighboring Arabs. Constituent and political equality for Kurds is also provided, without stopping them from being concerned with Kurdish causes beyond Syria. The third exclusionary vision is the Islamic state in Syria, which is what Salafist-jihadists and their likes aspire to. A historic compromise in Syria might be based on a mutual exclusion of Assadism and Islamism. In excluding the Islamic state project, no injustice is dealt to Sunni Muslims as such. The Islamist project in a fundamentally complicated country is a recipe for the destruction of Syrian society at the hands of a ruling elite that cannot but be a minority, and whose rule cannot but be tyrannical and brutal. The dignity of Muslim believers is preserved in a free, just society more than it is in a society in which Islamists prevail. Procedurally, how is it possible to create a majoritarian system? The new Syrian majority, that is cross-sectarian, can be formed within the framework of a major historic compromise, which can be formulated in an internationally sponsored Syrian national conference, that turns the page on the Assadist state and the murderous apparatuses at its disposal. This would be consistent with the wishes of the overwhelming majority of Syrians against Daesh and its likes, and will gain the favor of the entire world. It is possible that the conference might result in the establishment of a higher government institution that embodies the constituent equality of Syrian communitarian groups, including the Kurds, and prevents autocratic or dynastic rule. Syrians are in need of institutional ingenuity, and such major conflicts can inspire ingenuity. We are not committed to the idea of a centralized state, one that is based on homogeneity, nor are we committed to the consensual quota system. What we are committed to is providing the maximum justice to the largest number of Syrians. If none of this is realized, then wars, conflicts and acts of revenge are likely to soon erupt, again and again, with increasing severity. Question: Why do major states and the United Nations have to support a Syrian transformation in this direction? Answer: Precisely because it is the most democratic, just and sustainable. Question: But are the states concerned with just solutions that take into consideration the interest of local populations? Answer: Well, everything that has been mentioned here is a Syrian attempt at expressing about how a resolution in Syria can be just. If what is sought is not a just resolution, then Syrians struggling for justice are not the ones who should be answerable. But the “world” is part of Syria’s problem too, isn’t it? In the interest of the unidentified reader, it must be clearly stated that Syria’s problem today is not exclusively the regime, Daesh, Nusra Front and the nationalist Kurdish organization PYD. There is an immense third party. This is the international powers, namely the Americans and the Russians. Their positions since 2013 have demonstrated a remarkable rapprochement that culminated in direct military and political coordination as of September 2015. Those who openly support Assadism such as the Russians, or those who oppose its fall such as the Americans, are not the only inescapable powers necessary to a resolution in Syria, but they are the powers which ought to be answerable for the resolution and for the place for justice within it. The se two parties have yet to express any noteworthy interest in the issues of justice, democracy and sustainability. The Americans and the Russians control the Security Council, the United Nations and the most robust media outlets, and they also set the agendas of international forums in which they participate – something that Barack Obama bragged about a few months ago . And yet, from a Syrian perspective, the resolutions these powers are pushing for seem to range from, on the one hand, reclaiming the lands that lay outside Assad control, in short restoring “Assad’s Syria,” and on the other hand surrendering to the current abysmal situation, one that is characterized by perpetual war and a de facto division of the country. The latter option, which seems to be the American preference today, means sacrificing Syria so that the Assadist regime survives, and does not even ensure the destruction of Daesh. Here we are, in any case, in the world of absolute might, which imposes its rationale until such time that we ask yet again: When is the next eruption? Where would the solution come from, then? There is no solution to Syria, dear unidentified reader, because the powers that lead the world are part of the problem, if not the entirety of the problem. These powers are not just. The entire world, and not Syria alone, drowns in deterioration as the result of their policies. This reality does not leave room for the proposal of just and rational exits, and furthermore it contributes to detonation within Syria and strain around Syria. We have reached a deadlock: Those who are concerned with justice lack power, and those who have power are not concerned with justice. Regardless, we feel that clarity is necessary. We bear witness, before ourselves and before our age, and we speak through you, our unidentified reader, to other objective readers who might not agree with all elements of this proposal. They might see the necessity of focusing on some of its elements or of adding other considerations. However, they are motivated, just as we are, by the quest for justice, the greatest amount of justice for the largest number of people. The author’s opinion, in the end, is that the problems are clear, and so are the responsibilities. The faces of injustice are clear, and so are the horizons of justice. We need immense attention and hard work on nuances, on practical innovative ideas, and before that, we need the participation of the largest possible number of people in the thinking and in the implementation. What we are speaking of is not only a solution to a political crisis in Syria; it extends to re-establish state structure, relations within society and the conception of identity, in a spirit of moderation, pragmatism, and impartiality. What we do not need is the passing of another generation, and more colossal catastrophes, only for someone to say “I did not know…” Everybody knows. Even though those who head towards the abyss with their eyes wide open are not so few. Although we don’t agree with each and every point, we are impressed with the author’s effort in identifying each facet of a violent conflict, which began as a peaceful resistance to a violent authoritarian regime, and thereby quickly snowballed into a violent experiment of control by various state and non-state actors in the name of pragmatism.